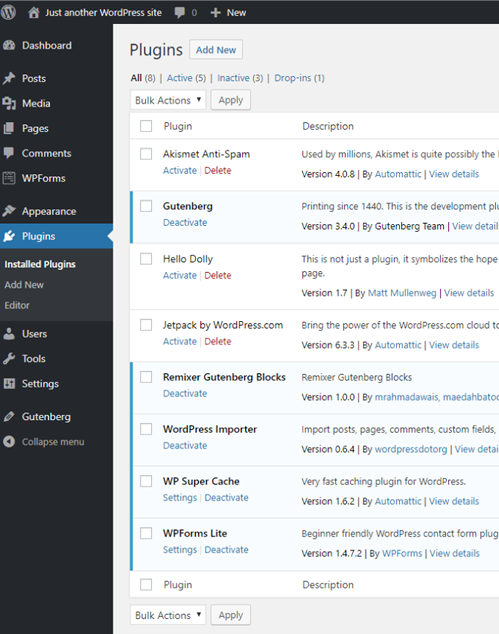 The following describes how to use the Remixer WordPress (WP) Export feature. This feature allows you to export existing Remixer projects to a shared hosted WordPress environment, using the latest Gutenberg blocks plugin technology. 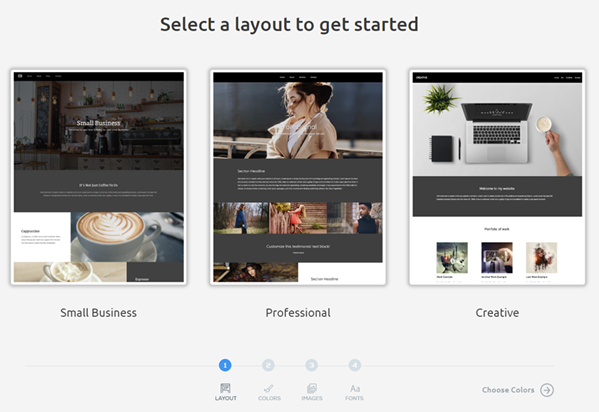 You can then continue with advanced editing on a WordPress platform, using all the powerful features it includes such as a Let's Encrypt SSL certificate, blogging, eCommerce, use of WP plugins, custom edits, and more. 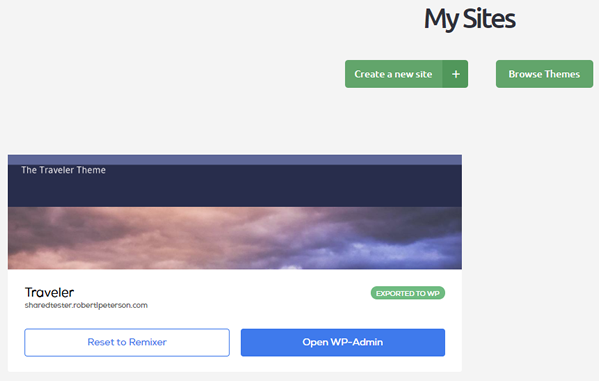 This WP Export feature allows you to take your Remixer project from DreamHost's web application cloud environment, and export it as a WordPress theme into a Shared hosting WordPress instance. After you export a Remixer project to WordPress, you will continue your edits on the WordPress platform. The WordPress export feature (under Remixer > My Sites) only appears if your account has a paid Shared hosting plan or a Remixer All-Access plan. Click the 'Login' link under Account in the top right corner. Your account must have a Shared hosting plan or Remixer All-Access plan, in order for the WordPress export feature to appear under Remixer > My Sites. 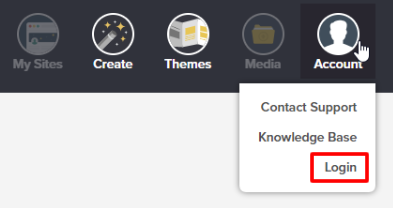 Select a Theme (former method) or click the “Create” wizard button in the top right corner (new method). After you complete a new project by making all the edits (you do not need to publish it yet), the site is ready to export to WordPress. Click 'My Sites' in the top right corner. 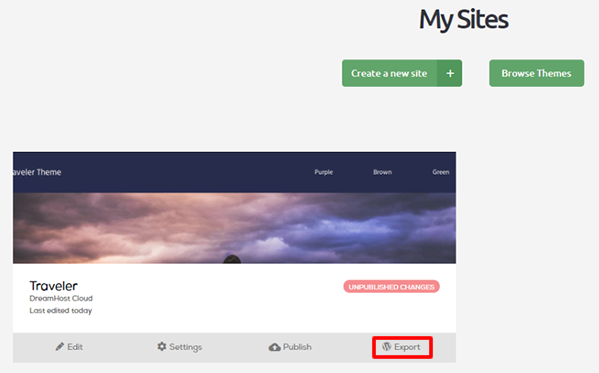 Click the WP Export button to start the WordPress Export of your existing Remixer project. Use Existing Domain – use an existing domain that is already set up on your account. Use DreamHost Subdomain – use one of DreamHost's staging '.dreamhosters.com' subdomains. The WordPress export process can take approximately 30 minutes to complete, usually 15–30 minutes on average. You won’t be able to make any edits to your Remixer project during this export process until it completes. 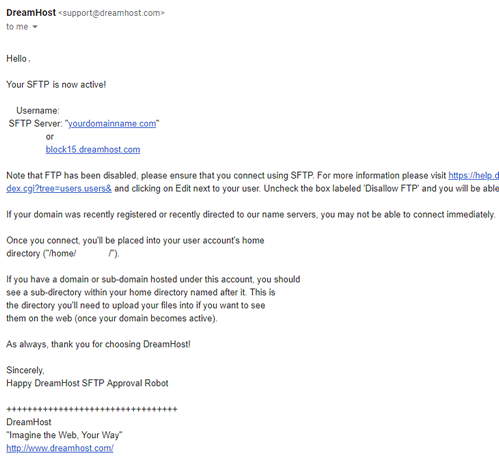 Also, do not make any changes to the hosting settings of the domain within the DreamHost web panel during this process. Wait 15–30 minutes for the installation process to complete before making any changes. Reset to Remixer – reverts your WP Export back to the Remixer application where you'll be able to continue edits on Remixer’s interface. 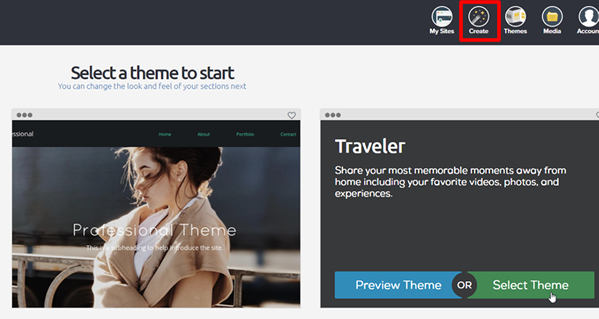 Open WP-Admin – opens your new WordPress environment with the imported Remixer project theme. You will no longer use Remixer to make your edits, but will instead use WordPress to continue your advanced edits. 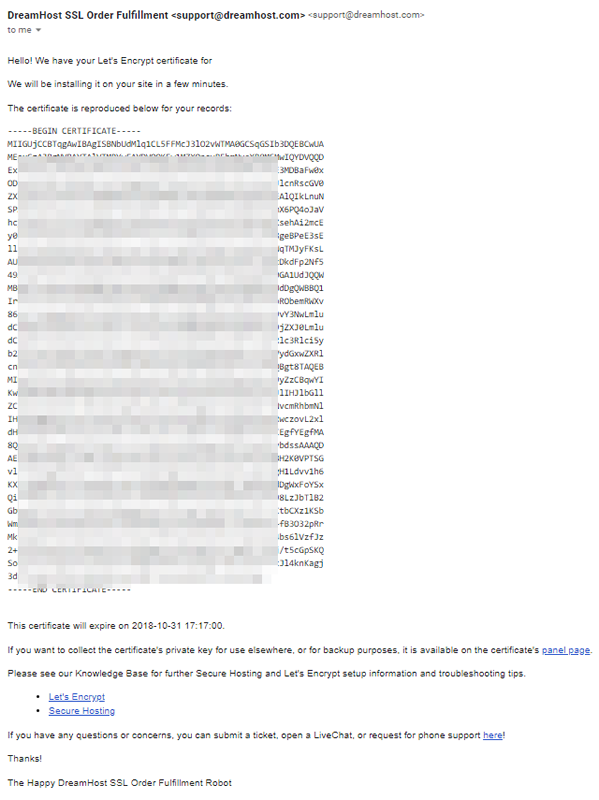 This is an email notification about the new Let's Encrypt SSL certificate that is automatically installed with your Remixer to WP Export, free of charge. There is no further action needed for this email. This important email includes your new WordPress login username and a new password link. You must click the link next to 'set your password' within the email to create a new WordPress user password. You will need this password in order to proceed to the next section. 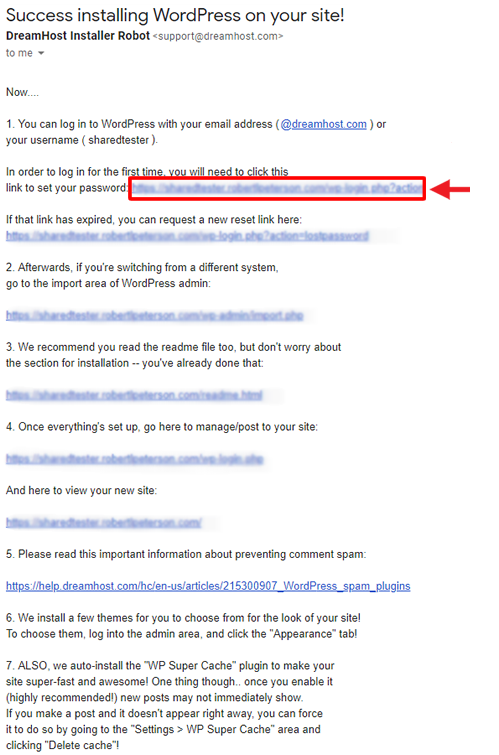 This is an email notification about the new SFTP user created for your new shared hosting WordPress environment. There is no further action needed for this email. 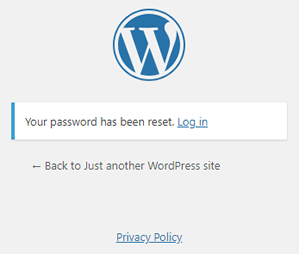 Using the “Success installing WordPress on your site!” email described in the previous section, click the 'set your password' link. 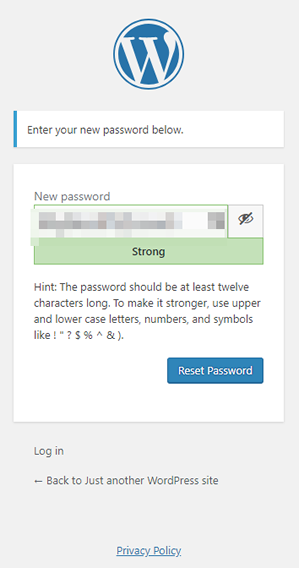 Enter a new password and click the Reset Password button. Click the 'Log in' link to log into your new Remixer WordPress using the username provided in the email and your newly set password. 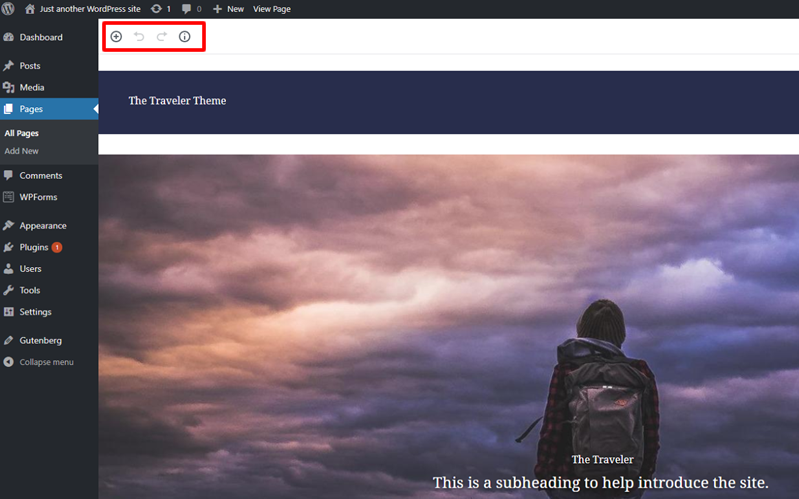 Hover over the new “Home — Front Page, Remixer, Gutenberg” page and click the 'Edit' link that appears underneath to start editing with WordPress’ latest Gutenberg block editing functionality. 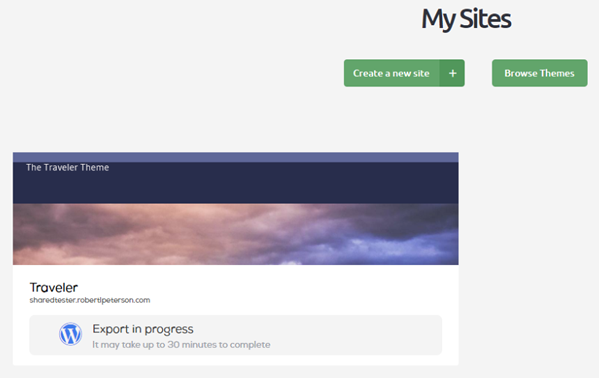 The Remixer support team can only provide limited support for any custom edits you make within the WordPress environment, but can provide FULL support for projects hosted and edited within the Remixer environment. 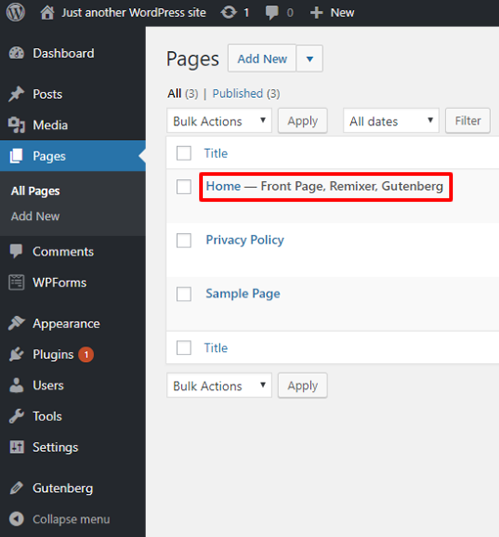 Do NOT remove or disable the following plugins and theme, which ensure that the Remixer Export to WP functionality continues to work: Gutenberg, Remixer Gutenberg Blocks, and the Remixer-Theme. 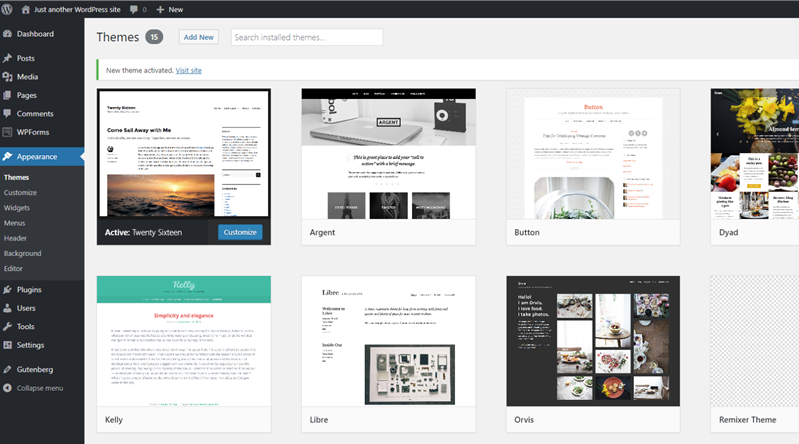 If you use a non-Remixer Theme, any new WordPress pages (non-Remixer) you create are instead styled in that selected WordPress theme. Article last updated April 04, 2019 17:35 PST.